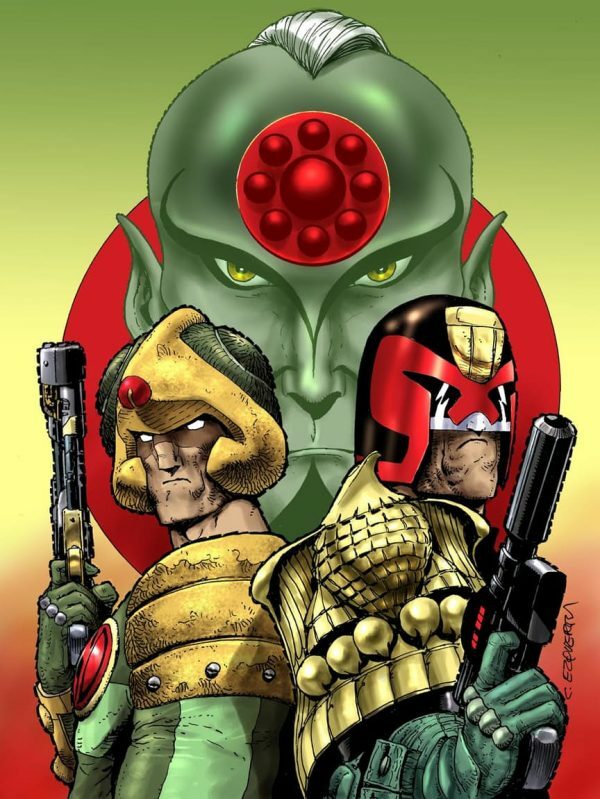 This week marks the 40th anniversary of the Galaxy’s Greatest Comic and to mark that auspicious occasion its alien editor Tharg the Mighty has put together this very special feast of Thrill-Power for the ever discerning ranks of the Squaxx Dek Thargo. Four decades of publication is an astonishing achievement and 2000 AD is now the last great survivor of the once booming UK serial weeklies market of yesteryear. 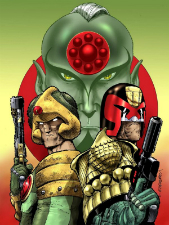 Behind a Carlos Ezquerra cover this special includes a new Judge Dredd tale by legendary Dredd scribe John Wagner and Carl Critchlow; Mills and Langley with new Ro-Busters; an unexpected return to the world of Nikolai Dante from Robbie Morrison and Simon Fraser; plus Durham Red, Zombo (Ewing and Flint), Slaine (Mills and Davis) and more! Whether you’re a regular aficionado, a lapsed reader or completely new to this groundbreaking, iconic and hugely influential sci-fi series this is, without a doubt, the essential purchase of the week. 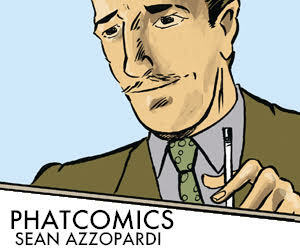 Move over, Caped Crusader – there’s a new chiropteran on the comics scene! At least for one issue, that is. 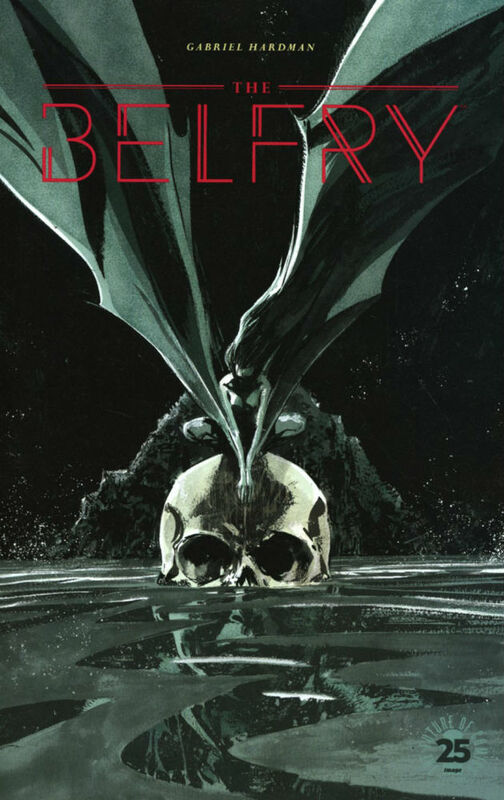 This week, Image Comics releases The Belfry, a new one-shot horror story by Hugo Award-nominated creator Gabriel Hardman. The idea for the solo effort from Hardman (who wrote, illustrated, and colored the book) was inspired by an illustration of a humanoid female bat creature he drew for a horror anthology a few years back. From there, he developed the concept into a fully-formed tale involving the fortunate survivors of a downed airliner who find themselves in a verdant deserted island jungle where their good luck runs out as they encounter a bloodthirsty race of (naked) bat-folk! Hardman, desiring an opportunity to explore new avenues of storytelling, claims that The Belfry is a more surreal departure from the gritty future-realism of his excellent ongoing sci-fi saga Invisible Republic. Nevertheless, this single one-shot will surely sink its teeth into fans and drive them batty for more. Nat and Sumesh aren’t like most teenage sweethearts. Besides the fact that he’s a cis guy and she’s a trans girl, they prefer to spend their evenings breaking into abandoned superlabs in hopes of finding the parts they need to build their time machine. But when mysterious entities keep trying to get in their way, they need to complete their science experiment before time runs out on them. Fresh from her breakout hit Kim & Kim, writer Magdalene Visaggio joins Constantine: The Hellblazer artist Eryk Donovan (and if you haven’t read his Boom! 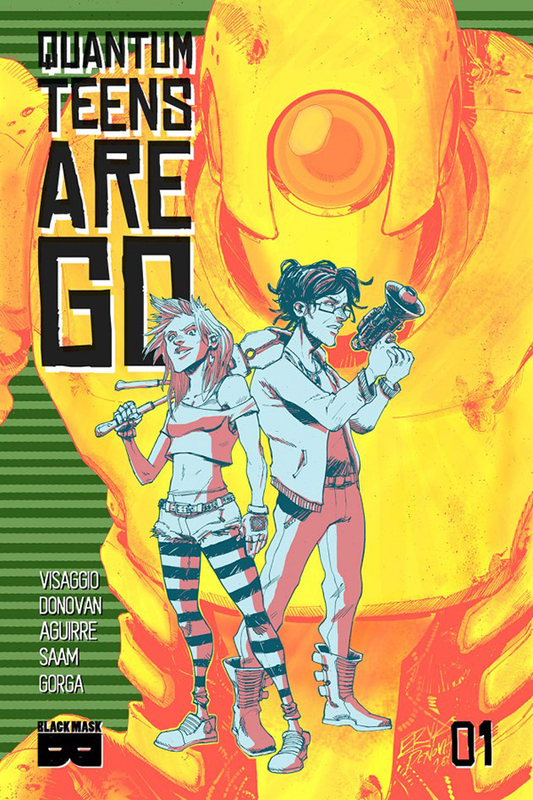 series Memetic, I highly recommend it), for this high-octane adventure full of robots, muscle cars and skater punk mad scientists! The ever-expanding world of Hellboy is a fictional universe every bit as complex and robust as any mainstream superhero universe. It abounds with strange creatures, demonic invaders, and Nazi madmen. This week, the franchise’s superstar creator Mike Mignola, along with Chris Roberson (iZombie) and Paul Grist (Jack Staff), delve into a forgotten corner of the Hellboy mythos with a new five-issue limited series starring one of the alien observers first glimpsed in the inaugural Hellboy mini, Seed of Destruction. 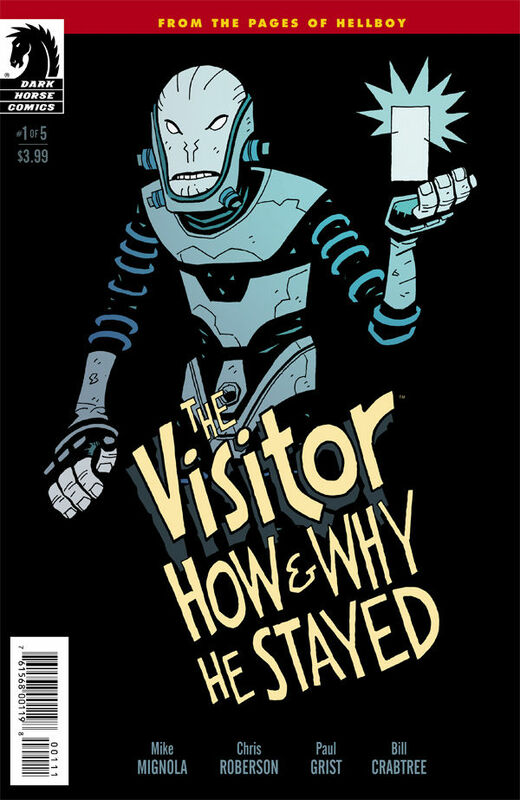 The Visitor: How and Why He Stayed chronicles the life of an alien assassin who disobeys his orders to kill Hellboy. The series chronicles his life on Earth and explores why he decided to spare Hellboy. An illuminating look into one of the finer points of Hellboy lore by a team of top-notch creators, this series is a definite must-have for collectors who can’t get enough of Mignola’s iconic supernatural investigator. 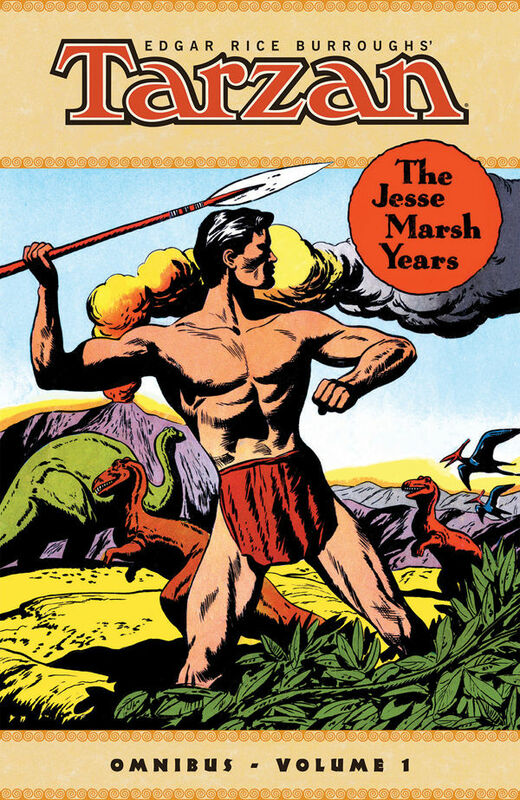 Jesse Marsh was the first artist to produce Tarzan comic books. Prior to his teaming with writer Gaylord DuBois, the character existed solely as a newspaper comic strip. Their collaboration lasted 19 productive years, forging a singular vision that redefined the character for generations to come. Marsh handed over the reins to Tarzan to artist Russ Manning in 1965, one year prior to Marsh’s death at the age of 58. Dark Horse Comics began publishing Tarzan reprints in 2009, and released 11 hardcover volumes. This week, the venerable publisher is releasing a softcover omnibus edition that contains the Edgar Rice Burroughs’ Tarzan: The Jesse Marsh Archives Volumes 1, 2, and 3. This massive volume is more than 700 pages of the meticulously restored works of Jesse Marsh. When you’re immortal, you have plenty time to get really good at things. Take the possibility of dying off the table and it makes a lot of sense to become and unstoppable soldier. After honing her skills for over 6 millennia, Andromache of Scythia (Andy) and her band of immortal warriors make their way through time offering their services to anyone who can afford their fee. 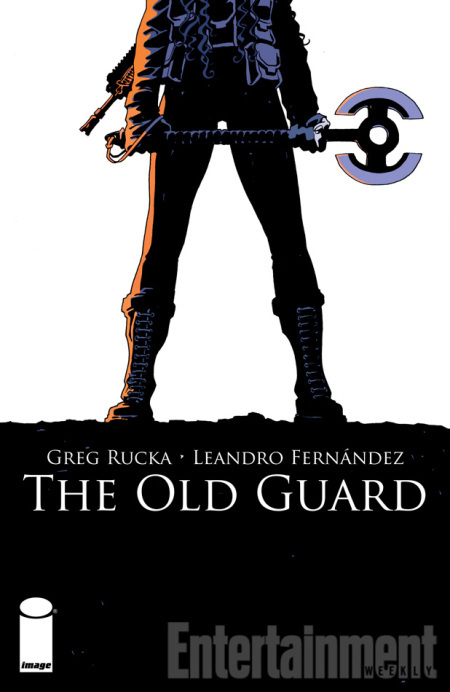 Eisner-winning writer Greg Rucka rejoins his old Queen & Country collaborator, Leandro Fernández, for an all-new, era-spanning series that questions the price of immortality and what fates are worse than death. 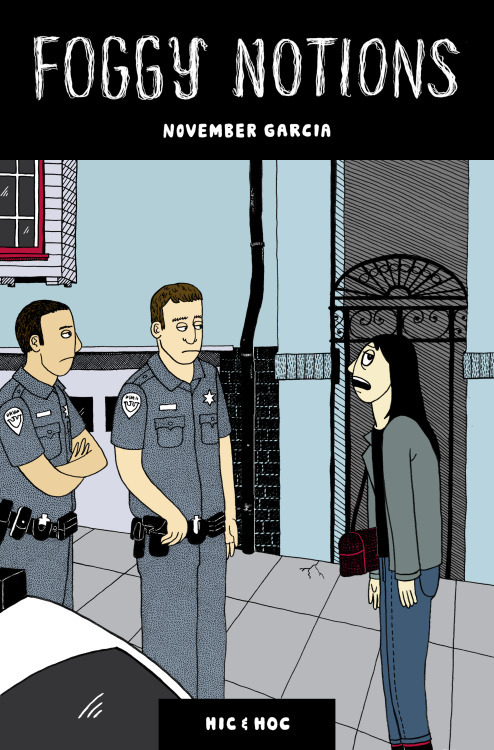 The latest short comics offering to come out of ever reliable micropublisher Hic & Hoc Publications, the autobiographical Foggy Notions provides an entry point for new readers into the cynical wit of Philippines-based creator November Garcia. Chronicling events during her time living in San Francisco the book focuses on “tales of bad jobs and debauchery”. You can check out some sample pages from Foggy Notions for yourself on the Hic & Hoc site here.